Southside Allstars is a full-service prop rental, set building, and prop fabrication shop in Seattle, Washington. With over fifty years of combined Art Department experience as production designers, art directors, prop masters, set decorators, and photo stylists, owners Loren Dutton and Kaleo Quenzer have the skills to bring to your creative vision to life. 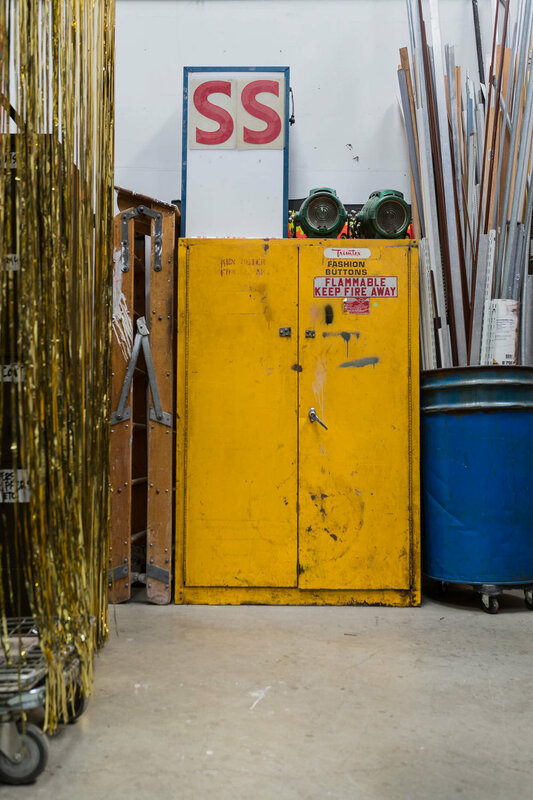 From set dressing to hand props, royalty-free art to lighting—or outfitting a more personal event, like a wedding or a party, you’ll find what you’re looking for within our expansive, uniquely curated scene shop. And if you can’t find that prop, set dressing, backdrop, or full set you need in our inventory, we’ll find or create it for you! We will design and fabricate whatever you envision, to your exact specifications. No job is too big or too small. From simple props or decoration, to complete backdrops and full stage designs for live events, we have the knowledge, skills, and creative eye to breathe life into your shoot or event. Whether you need general art direction to get you on track, or a more complete “soup to nuts” design package, we’ll provide just the amount of assistance you need, whatever your project. Southside Allstars calls home a 4000+ square foot creative work space, easily accessible from the street, in Seattle’s SODO district. Our building comprises a comfortable lounge and production office, a fully equipped scene shop; and large, open, beautiful, naturally-lit spaces for video production and photo shoots. Our continued longevity is testament to the satisfaction of our clients, and we’d love the opportunity to make you a part of the Southside family.